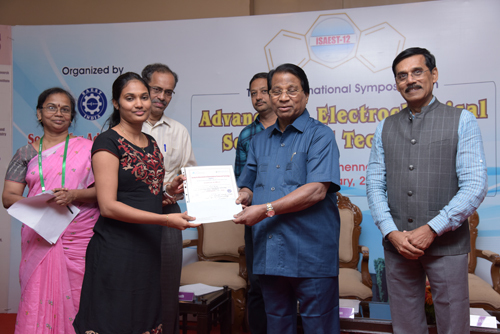 Ms.Keerthi Sanghamitra Kollipara received best paper award in the oral presentation (Process and Product Development-3) at the 2nd International Conference on New Frontiers in Chemical, Energy and Environmental Engineering (INCEEE-2019) held at NIT Warangal during 15-16th February 2019. Dr. G Padmanabham, Director-ARCI has been conferred with "Abdul Kalam Technology Innovation National Fellowship"
Dr. G Padmanabham, Director-ARCI has been conferred with "Abdul Kalam Technology Innovation National Fellowship" by Indian National Academy of Engineering (INAE). 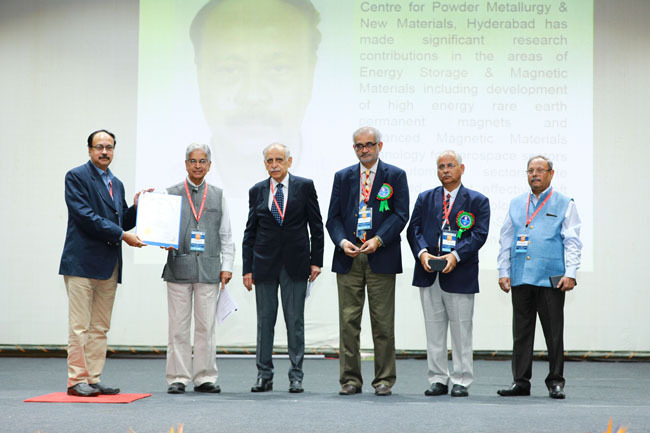 Dr. R. Gopalan, Associate Director, ARCI has been elected as a Fellow of the Indian National Academy of Engineering -INAE in recognition of his distinguished contributions to Engineering. 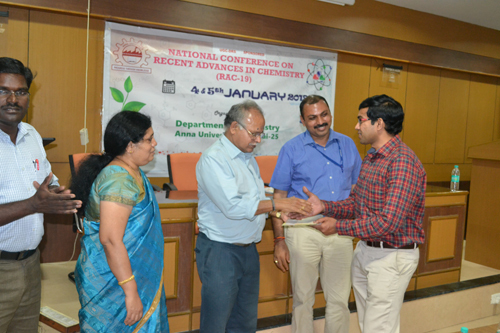 Mr. S. Ramakrishnan, Project Scientist C, CFCT, received the Best Oral Presentation award in National Conference on Recent Advances in Chemistry (RAC-19) held at Anna University, Chennai between 4th-5th January 2019 for his work titled, "Electrodeposition of Conducting Polymer over Metallic Bipolar Plate for PEM Fuel Cell application- Preliminary Analysis". FMCT : A new micro website for promoting and facilitating use of major materials characterization and testing facilities at ARCI. Facilities for Materials Characterization & Testing (FMCT): A new micro website for promoting and facilitating use of major materials characterization and testing facilities at ARCI.